September | 2014 | God Wins...but can I ? Remembering and honoring my daughter. These are two important actions that I will take as long as I breathe. The first year after Leah’s death holds so many special dates. One special date was her birthday on Sept. 9, because it was her “Sweet 16”. For girls, a Sweet 16 Birthday is a big deal – usually parties and celebrating happen to the max. It’s the day many girls go out and get their drivers licenses. Almost a right of passage. To honor Leah, my sister and I, along with three of Leah’s friends (Katie, Sage and Erica), planned a Sweet 16 Memorial Birthday party for Leah. We chose a theme Leah would love – a cake decorating contest. 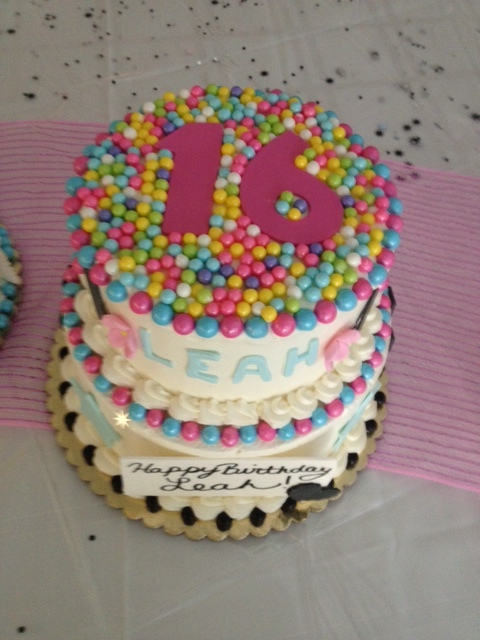 Leah loved the shows Cake Boss, DC Cupcakes and Cupcake Wars. Together, we shopped for all the trimmings to create cakes that would best represent Leah. I worked with a local bakery, Konrad’s, to have plain, two tier, white cakes created that the friends could decorate. So on a sunny, beautiful Saturday, 20 of Leah’s friends showed up to a tented backyard. We broke them into 4 teams to decorate the cakes and gave them an hour. The got to strategize on building a cake and selected decorating items to create their masterpieces. Could it be any more fun? After a meal of Leah’s favorite foods (Italian beef, mac and cheese, watermelon), I asked the girls to write on a card either a favorite memory about Leah or something special about her. We then sat in a circle around a fire pit and shared Leah stories. One by one the girls shared. We cried and laughed. It was a memory that we will always hold close. It was priceless to hear stories about how Leah touched so many lives. I didn’t know my daughter could be so funny, gave her friends nick names, fell out a window, and helped friends who were hurting. Among many other things. One deeply emotional moment was unplanned. Aren’t they always? 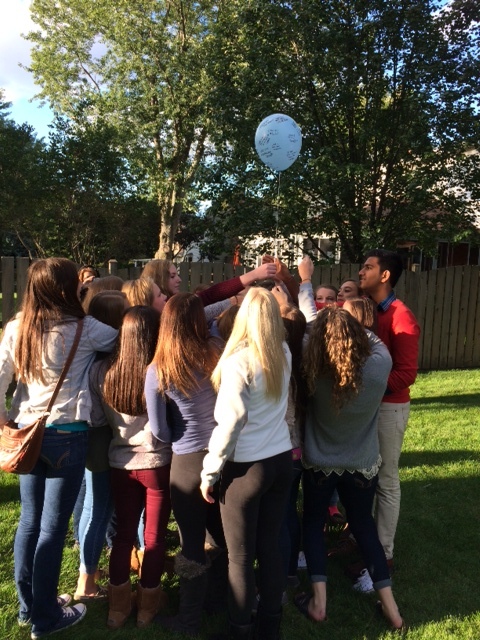 The friends signed a balloon and each wrote a note on it to Leah. 20 huddled together. 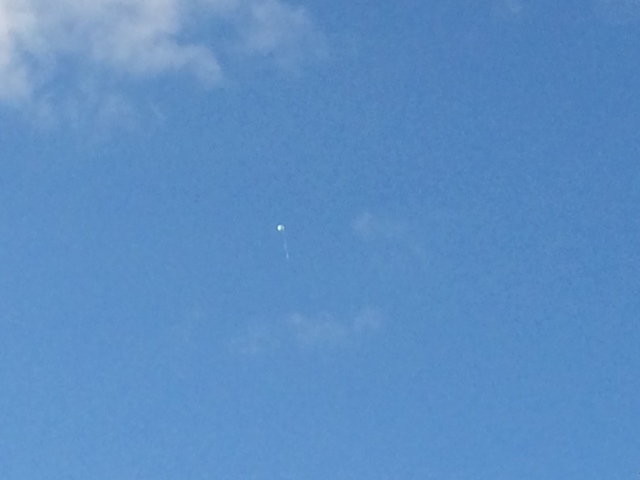 As they let the balloon go, we said “Happy Birthday.” The balloon steadily and slowly climbed to the clear, blue sky. We all stood a long time – looking up until we couldn’t see the tiny speak anymore. It’s as though time stood still. I want to believe Leah joyfully caught the balloon. What a gift her friends gave me that day. It was such a memorable and precious time of honoring my daughter. Many friends surprised me with bouquets of flowers, candy and other gifts. I received a special angel wind chime that I cherish. They were happy to be present in community as we shared our love for and pain of missing Leah. For me, I needed to hold this party for these dear friends whom my daughter loved. I couldn’t let their last memory of Leah be her funeral. They needed a safe place to celebrate and grieve together. I am learning it is unhealthy to avoid grief and minimize the impact our loved ones had on our lives. We need to be creative in community and honor those who we love. I am blessed these friends touched my daughter so. I am committed to being there for them through our huge loss of precious Leah. One minute nothing was there. Loveliness of mind, heart and soul. moments of laughter, tiny things, dolls, grapes and Winnie the Pooh. as she reached out to others with humor and laughter. your words to her heart. she needed your word to strengthen her spirit. She found comfort and strength in your poetic verse. I couldn’t take the darkness away, no human could. in my arms – so were her last. one so young, taken much too soon. And through a still small voice – an image forms. at different stages of glorious display. and buds gently and gracefully opening. 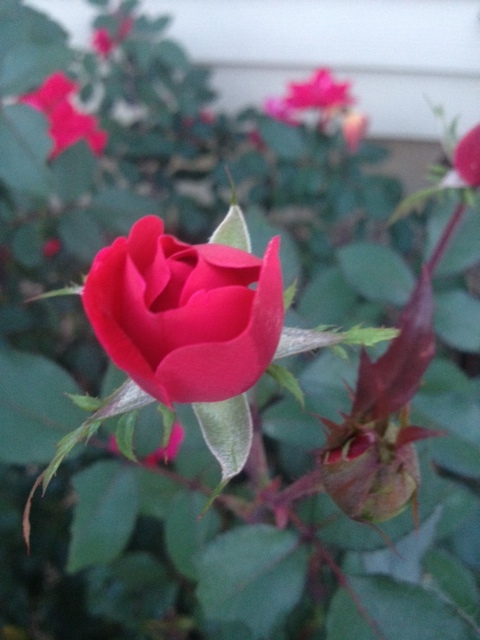 Some roses open in full splendor. Smiling up to the sun. tattered, brown at the edges and weary. I imagine they are all exquisite to you. She was gently and gracefully growing. Her strong and brave spirit still forming. You chose this blossoming flower. She is now yours fully and completely. my sweet, little miss Leah. Where Did You See God Today Leah? The drive to radiation treatments was long – an hour each way. Leah’s second round of radiation therapy happened this past winter when the gray skies and cold made the daily ride to Warrenville especially draining. Leah was mostly quiet during the rides and watched her favorite “tubers” on her iPhone to pass the time. Leah didn’t talk much about what she was thinking and feeling about the nightmare she was living through. As a family who follows Christ, we knew the only way we could get through Leah’s health crisis was with God’s help. In the midst of her illness, I intuitively knew Leah didn’t need to be lectured about our faith. I did regularly pose one question during our car rides “Leah where did you see God today?” or “Leah where did you see Jesus today?” As Christians, we believe Jesus is God so the questions are one in the same. My hope was that this question would dive us into an uplifting conversation. It really didn’t accomplish what I hoped. If Leah was having a bad day and didn’t answer, I’d try to be upbeat and give her a statement about where I saw God. Truth is – there were days I was having trouble seeing God. In the middle of pain and trauma, where was Jesus? Where is God in a world where my daughter was battling a monstrous cancer? Since Leah died, I have to continue to ask “Marie, where do you see Jesus today?” Some days, it’s hard to see Him working in this dark world filled with pain and suffering. And again, on other days, He shines through in ways that are totally SUPER natural. One God-incidence, not coincidence, happened on our California trip. A kind friend gave me Steven Curtis Chapman’s CD “Beauty Will Rise” after Leah died. He is a Christian recording artist whose young daughter was accidentally run over and killed by her brother backing out of their driveway. I couldn’t bring myself to pick it up or listen to the CD. I decided that I might want to listen to it as we drove California’s Highway 1, so I slipped it into my back pack. One morning, I was particularly somber and asked God “Where are you?” “Do you see how bad I am hurting?” “This experience is so painful, do you care?” They were hard questions on the top of my conscience. Mark and Grant stopped at a store and I chose to sit alone in the car. Without much energy, I opened my back pack and pulled out the Chapman CD. I studied the cover and flipped to the back. As my eyes skimmed the song titles, I stopped in shock as I read in itsy bitsy print, “February 20.” What? How can this be? It was the date that Steven’s daughter chose to believe in Jesus just weeks before she died. He wrote a song about that day. And February 20 is the date that Leah died. The second God-incidence was a couple weeks ago. 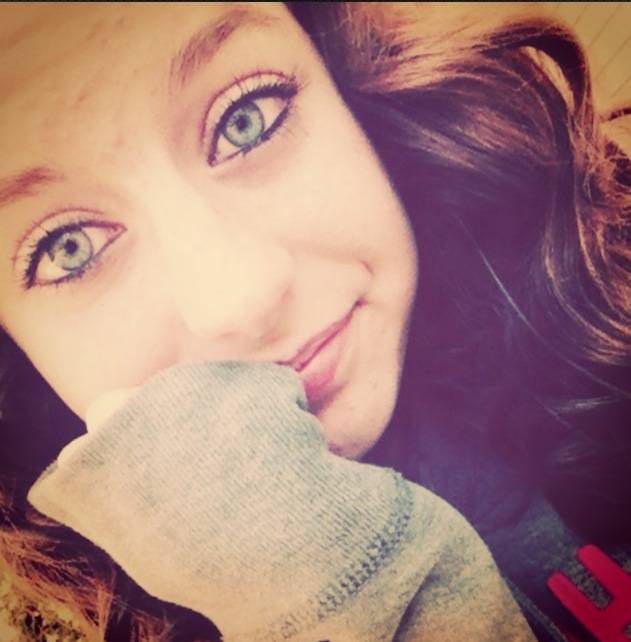 It was a day or two after August 20 – the six month mark since Leah passed away. I was driving to the store and thinking about how dates matter to me. Leah’s birthday is coming up on Sept. 9. I can’t imagine what February 20, 2015 will be like… A whole year without Leah by my side. How will I make it through that day? What will a year without her feel like? Within about 20 minutes of these thoughts, I pulled into the Meijer parking lot. There are 365 days a year – 365 options. What type of God orchestrates circumstances like these to show His presence? A truly amazing, loving and personal God. These two happenings have marked me and I will call upon them for years as I seek to feel God’s comfort. There are many things I won’t understand about this life – illness, suffering, loss, cruelty, dying….. I do know that I will continue to seek God in the pain. And when I want to hear from Him, I probably should hang out in store parking lots….